With the Mr. 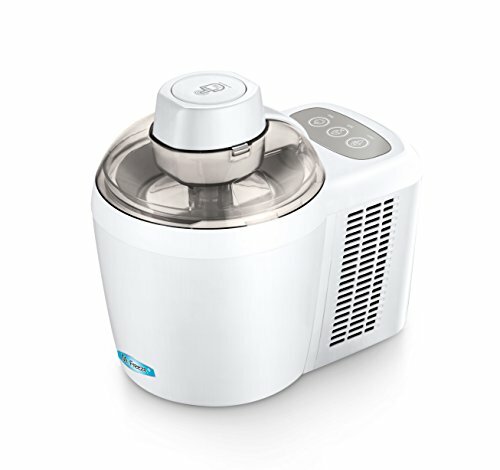 Freeze 1.5 pint Ice Cream Maker you can make your own great tasting frozen treats in less than 60 minutes – no pre-freezing required! Have fun with the whole family crafting homemade ice cream, gelato, frozen yogurt, sherbet, or sorbets right out of the box. This ice cream maker also has a unique feature that allows you to adjust the softness or hardness of your ice cream, so you can make it to your desired preference. Smart design makes use of operation a cinch! 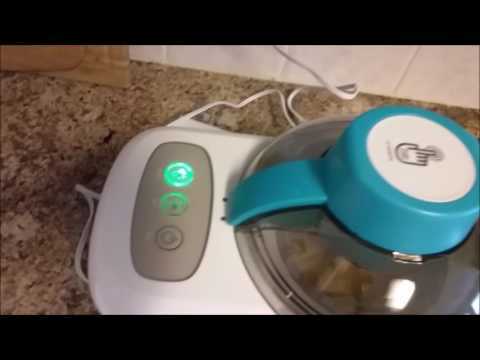 All you have to do is mix in your ingredients, push a button, and the thermoelectric cooling system does the rest. Gone are the messy days of hand cranking, churning ice and spilled salt. Recipes are included for fun and easy ideas to treat the whole family!